I don’t want to pre-empt my upcoming longer article on this subject, so I will boil down this subject to its essence. Depending on precisely how the Trudeau government words its proposed amendments to the Standing Orders, they would either be ineffectual or unconstitutional as a means of regulating how the prime minister exercises his authority over prorogation. Relating the exercise of prorogation is simply beyond the authority of the House of Commons. 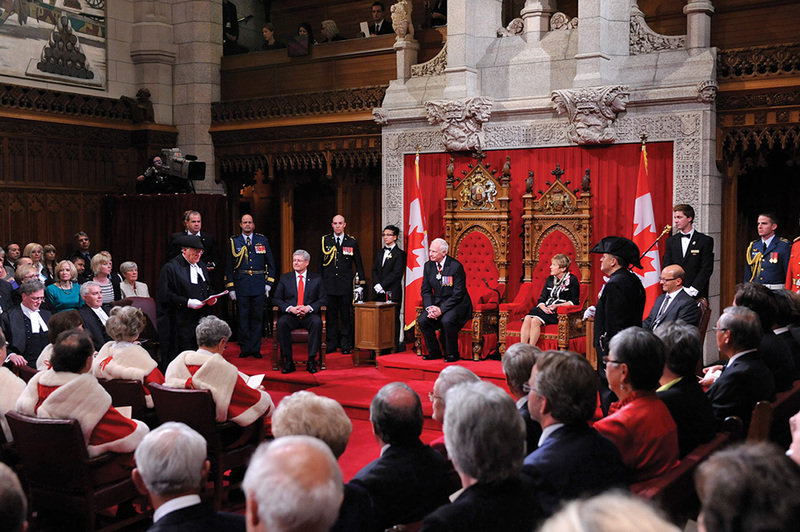 Prorogation is an executive authority exercised on and in accordance with the Prime Minister’s advice, and neither the House of Commons nor the Senate alone could regulate how it is exercised. In 2013, NDP MPP Catherine Fife introduced a private members’ bill in Queen’s Park that would have similarly been unconstitutional. Some of my arguments against that bill would apply here, too. The House of Commons alone lacks the authority to regulate the exercise of prorogation, and the Standing Orders certainly cannot force or prevent the prime minister from making the decision to prorogue a session of parliament. The Standing Orders currently contain a few provisions that describe how a prorogation of a session of parliament affects the business of the House of Commons, but they do not in any way attempt to regulate how the prime minister exercises his authority over prorogation. The Standing Orders of the House of Commons probably could mandate that the government table a document explaining the previous prorogation. But what would that accomplish? The prorogation would have already happened, and it would be as irreversible as ever. This would be nothing more than a hollow platitude and would resonate only with an outraged opposition in a minority parliament. Furthermore, the Standing Orders of the House of Commons have nothing to do with the old prorogation ceremony and closing speech from the throne, which takes place in the Senate and last occurred in 1983. If Prime Minister Trudeau wants to arrange Governor General Johnston to prorogue the 1st session of the 42nd Parliament by a speech from the throne in the Senate, instead of by proclamation, then he already has the authority to do so. The Prime Minister and His Excellency, or rather their respective staffs, can sort out the logistics of a closing speech from the throne and prorogation. The Standing Orders have nothing to do with that. [i] Liberal Party of Canada, “Real Change: A New Plan for a Strong Middle Class,” October 2015, page 30. [ii] Canada, Government House Leader, “Reforming the Standing Orders of the House of Commons,” 10 March 2017 [accessed 19 March 2017]. This entry was posted in Crown (Powers and Office), Dorchester Review, Prorogation. Bookmark the permalink. 7. Before a Session is prorogued, the Government House Leader shall announce the approximate date upon which the Assembly will be reconvened. Presumably this could still occur if the First Minister were to advise Cabinet of prorogation plans in advance and if the House were still sitting, but this seems unlikely. Good point! I remember being somewhat confused by that Standing Order when I wrote about Catherine Fife’s bill. But that’s a plausible explanation. The Lieutenant Governor last prorogued by a speech from the throne in the late 1990s under Harris.